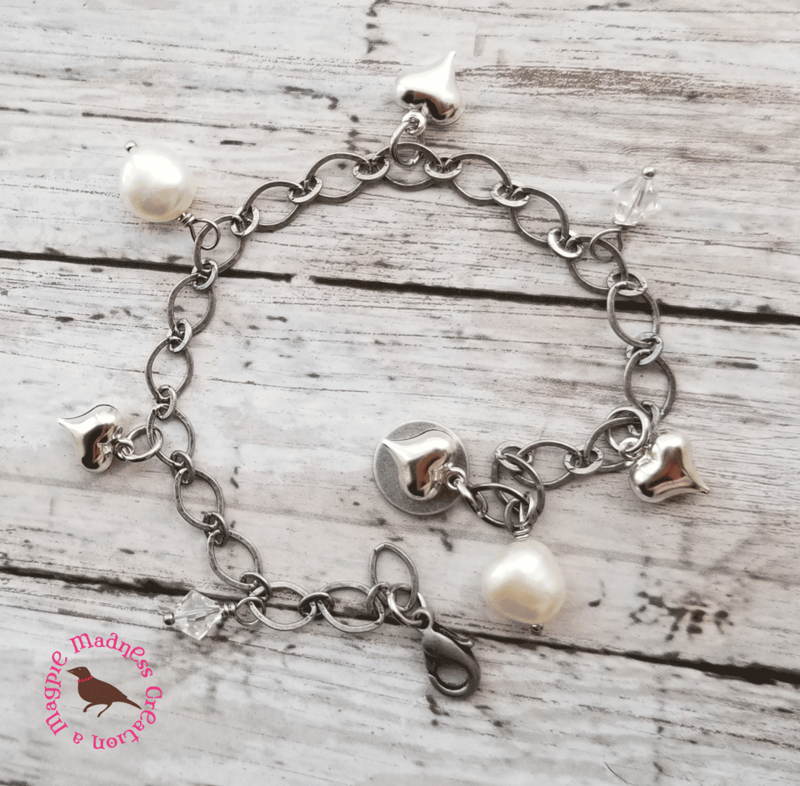 Show off your love with this darling bracelet dangling with darling puffed hearts, freshwater pearls and Swarovski crystals. 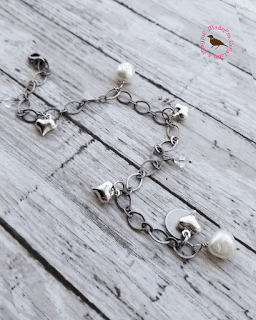 Everything dangles from this fun antiqued matte silver (plated) chain. Bracelet is adjustable with a lobster clasp and will connect at your preference point. I made it 9 inches long so that an extra will dangle. Please let me know if you need a longer/shorter chain. Happy to make those adjustments. Like earrings?? Add on for a full set. I have many white pearl earrings on my site if you'd rather have pearls.